Expanding the Palace of Torah offers a broad philosophical overview of the challenges the women’s revolution poses to Orthodox Judaism, and Orthodox Judaism’s response to those challenges. Surprisingly, very little work has been done in this area, beyond exploring the leeway for ad hoc solutions to practical problems as they arise on the halakhic plane. Most Jewish feminist critiques addressing broader theological concerns are conducted by non-Orthodox, Anglo-educated women. Their works attempt to locate in Judaism the root causes for what is allegedly wrong with the past and current state of women and offer suggestions for more fundamental reform. In relying on an avowedly selective range of sources and ignoring the full stock of Judaism’s rich interpretive tradition, such studies bypass internal tools and concepts of the existing halakhic establishment and fail to engage the unique religious assumptions of the living community most totally committed to its tenets. Ross believes that this approach in many ways extrinsic to the reality it purports to affect has little chance of gaining the type of halakhic or theological credibility crucial for wholehearted acceptance by the Orthodox mainstream. Writing as an insider (herself an Orthodox Jew), Ross confronts the radical feminist critique of Judaism as a religion deeply entrenched in patriarchy. In exposing the largely androcentric thrust of the rabbinic tradition and its biblical grounding, she sees this critique as posing a potential threat to the theological heart of traditional Judaism the belief in divine revelation. Ross seeks to develop a theological response that fully acknowledges the male bias of Judaism’s sanctified texts, yet nevertheless provides a rationale for transforming the relative import and significance of that bias in today’s world without undermining their authority. Uncovering aspects of Jewish tradition that support this response, Ross proposes an approach to divine revelation which she calls “cumulativism.” Building upon some interesting points of contact between postmodernist thinking and traditional Jewish ideas with regard to the meaning and function of religious language and the significance of context, this approach is based on a conflating of strict boundaries between text and its interpretation, or divine intent and the evolution of human understanding. 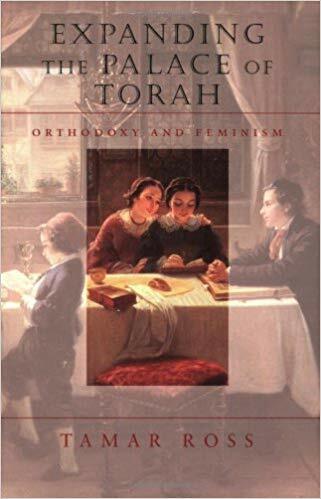 Ross believes that the greater fluidity afforded by cumulativism in understanding the mechanics of revelation and halakhic deliberation is necessary for legitimizing the insights of feminism and fully absorbing women’s changed status within the religious rubric of Jewish tradition. Emphasizing that continuity with tradition can be maintained only when the halakhic system is understood as a living and dynamic organism that grows via affirmation of its historical legacy and respect for its constraints, her book shows that the feminist revolution in Orthodox Judaism reaches beyond its practical effect upon individual lives to teach us something more profound about the nature of religious practice in general.